This pillow is an absolute dream. Whereas my other, firmer pillows made my neck sore, this one immediately made the pain stop. Absolutely wonderful! 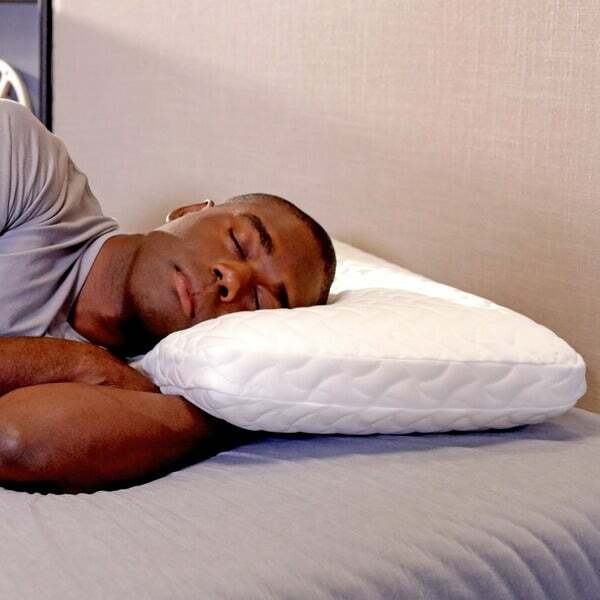 Stay asleep longer with the TEMPUR-ProForm Cloud Extra Soft Pillow by Tempur-Pedic. Cloud Technology pairs contouring support and pressure relief with plush softness, while TEMPUR material adapts to your head, neck and shoulders to deliver personalized comfort and support. The TEMPUR-ProForm Cloud Pillow offers durability you can count on. I'm so picky about my pillows and have purchased many before this that have not felt as good. Very nice quality, molds to neck and even comfortable when sleeping on my side. Would recommend! This pillow is very soft and does feel like sleeping on a cloud. It is very snuggly and cool to sleep on. However, if you like a pillow that offers more support and faster response, this pillow is not for you. I wanted to like this pillow but I just can't! Its nice and soft, but goes super flat while sleeping on in. In turn it offered me no neck support. I was looking for a soft pillow with neck support and unfortunately this is not my perfect pillow. great soft med firm pillow, wife loves it. After trying MANY pillows, my picky 10 year old is finally happy. It has great support yet is soft at the same time. Loooved this pillow. I almost immediately felt the kink in my neck go away. I wasn't expecting this yo be as comfortable as it was. I'm hoping it doesn't end up like most pillows and start "balling" up just to be comfortable. First impression was surprisingly pleased. This is the best pillow I ever had. I don't have neck aches anymore. My husband has one and both my daughters. They are also great fans of this pillow. You won't be disappointed. Great for sleeping on your back.